With this ticket purchase you also receive admission to the following evening’s lecture, on Tuesday, October 10th, with Steve “The Woz” Wozniak, Co-founder, Apple Computer, Inc. and Chief Scientist, Primary Data. 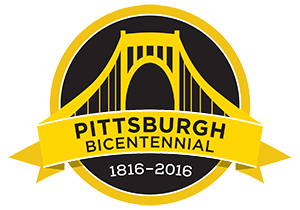 Tuesday, October 10th – 8 pm at Carnegie Music Hall of Pittsburgh. Business Conference Ticket for $195 includes: Breakfast and lunch at the Fairmont on October 9th, and a ticket to the Steve Wozniak Lecture, the following evening – October 10th. VIP Ticket for $1000 Includes: October 9th Daytime Business Conference (Breakfast and Lunch) at the Fairmont, plus the Technology Site Tours on Tuesday, October 10th, and Private VIP Sponsors’ Reception, Dinner & Priority Seating at the Steve Wozniak Lecture. Each year, the Pittsburgh, Pennsylvania-based American Middle East Institute convenes a high-level forum for business and university leaders interested in pursuing the rewarding path to economic opportunity in the Middle East. The AMEI Conference offers an intimate environment for corporate leaders and entrepreneurs to showcase their successes and engage in personal interaction with dignitaries from the Middle East. TOPIC: The 2017 AMEI Conference is focused on Transformational Technologies including energy, health, transportation, robotics and 3-D printing. AMEI will also feature a special panel on doing business in the Middle East. FORMAT: The conference will consist of a series of “Tech Talks” and panel discussions that are led by C-level and senior-leadership level presenters. Featured speakers include dignitaries from the Middle East and U.S. CEO’s.